Forage to farm: But are we healthier? 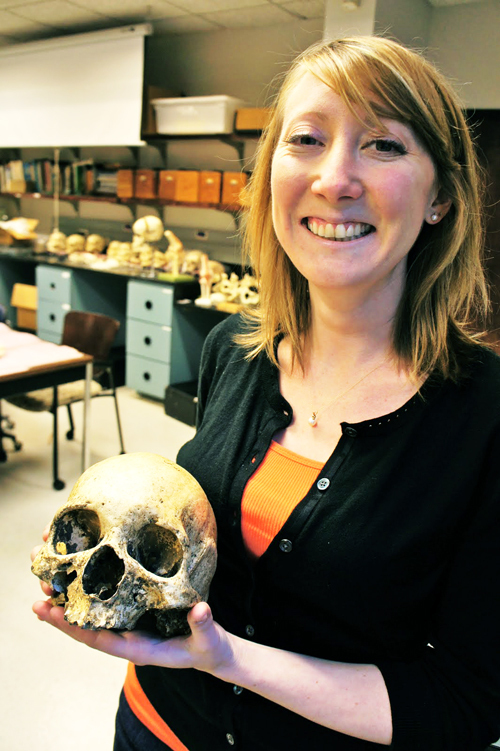 EMORY (US) — Human height and health declined soon after the shift to agriculture around 10,000 years ago, research shows. “This broad and consistent pattern holds up when you look at standardized studies of whole skeletons in populations,” says Amanda Mummert, an Emory University graduate student in anthropology. Mummert led the first comprehensive, global review of the literature regarding stature and health during the agriculture transition. The findings are reported in the journal Economics and Human Biology. She adds that growth in population density spurred by agriculture settlements led to an increase in infectious diseases, likely exacerbated by problems of sanitation and the proximity to domesticated animals and other novel disease vectors. Eventually, the trend toward shorter stature reversed, and average heights for most populations began increasing. The trend is especially notable in the developed world during the past 75 years, following the industrialization of food systems. In 1984, Armelagos and M. N. Cohen wrote a groundbreaking book, Paleopathology at the Origins of Agriculture, that drew from more than 20 studies to describe an increase in declining health and nutritional diseases as societies shifted from foraging to agriculture. The book was controversial at the time, but the link between the agricultural transition and declining health soon became widely accepted in what was then the emerging field of bioarcheology. The current review was undertaken to compare data from more recent studies involving different world regions, crops, and cultures. The studies included populations from areas of China, Southeast Asia, North and South America, and Europe. All of the papers used standardized methods for assessing health at the individual level and examined how stressors were exhibited within the entire skeleton, rather than a concentration on a particular skeletal element or condition. Adult height, dental cavities and abscesses, bone density and healed fractures are some of the markers used to try to paint a more complete picture of an individual’s health. While the review further supports the link between early agricultural practices and declining stature and health, it’s important to keep re-evaluating the data as more studies are completed, Mummert says. One confounding factor is that agriculture was not adopted in an identical fashion and time span across the globe. In some ancient societies, such as those of the North American coasts, crops may have merely supplemented a seafood diet. “In these cases, a more sedentary lifestyle, and not necessarily agriculture, could have perpetuated decreased stature,” Mummert says. The way the human body adapted to changes we made in the environment 10,000 years ago could help us understand how our bodies are adapting now, she says. Some economists and other scientists are using the rapid physiological increases in human stature during the 20th century as a key indicator of better health.